My first foray into using my smartphone as a hotspot for my laptop was almost a decade ago. I managed to configure an old Audiovox Windows phone using Bluetooth, which gave me speeds that were roughly equivalent to a dial-up modem. These days the LTE connection speeds are sufficient to upload a 500GB video to YouTube in about 50 minutes if you are willing to burn through your monthly data quota. 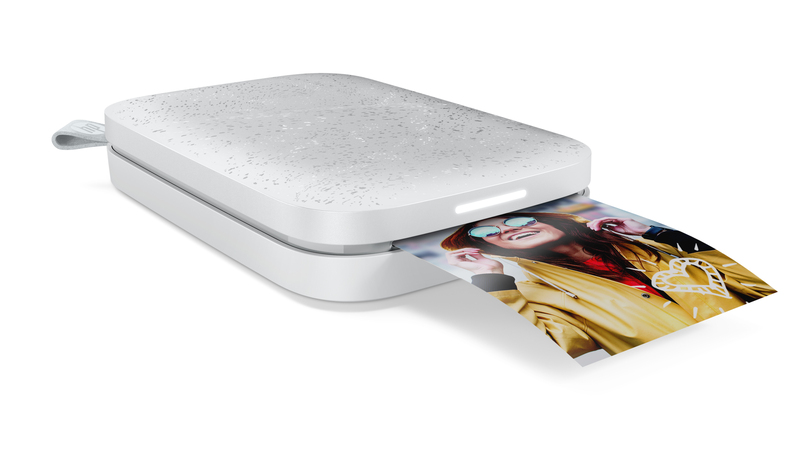 What you may not realize is this hotspot feature is built in to many smartphones and in some cases it’s included as part of your existing cell phone data plan at no additional charge. It’s saved me on any number of occasions where I needed to work on a spreadsheet or publish a video in a place where the WiFi was either unavailable or completely unreliable. While I talk about my iPhone specifically in the example below, the steps for using an Android phone as a hotspot are fairly similar. 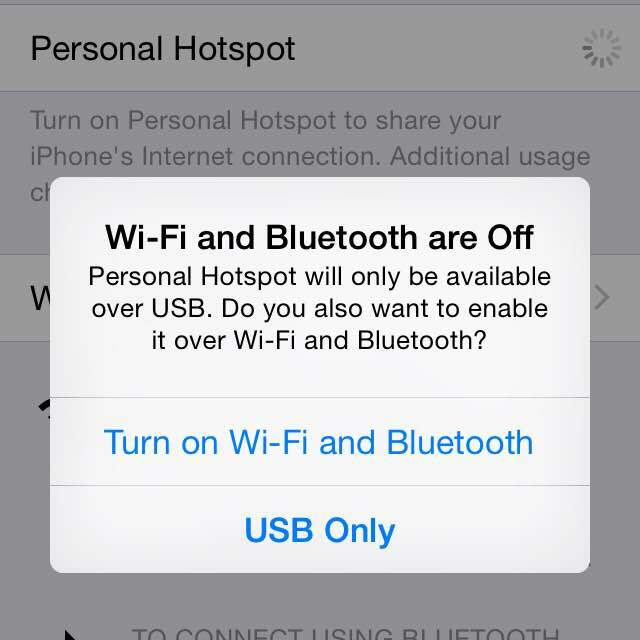 On an iPhone, enabling your Personal Hotspot is a relatively simple matter. In the Settings app, you can see Personal Hotspot near the top of the list below Wi-Fi and Bluetooth settings. 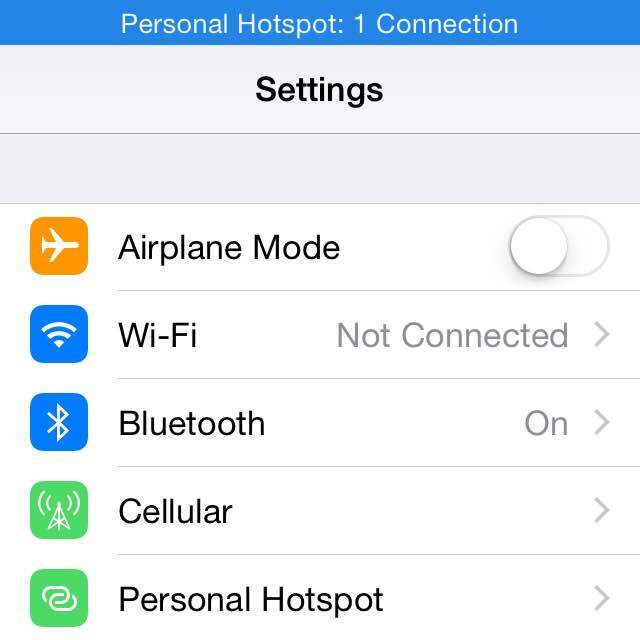 To turn on your Personal Hotspot, simply tap this setting and toggle it to the green on position. If you don’t currently have WiFi and Bluetooth turned o, you will be promoted to enable them with a message that looks like the one below. Once you have WiFi and Bluetooth turned on in the iPhone settings, your phone will show up as one of the available WiFi networks you can connect to from a laptop. When you select your phone’s network on your laptop, you will be prompted to enter the password that shows up on the Personal Hotspot settings screen. In my experience, you typically need to leave the settings screen open on your phone while you are connecting. If you don’t the Personal Hotspot won’t show up as an option for your laptop to connect to in the available WiFi networks. Finding your phone in the list of available WiFi networks in your proximity can be a hassle, so I highly recommend giving your iPhone a unique name. If you haven’t already named your phone, you can do it from the Settings app by going to General > About and tapping the Name setting. Once you configure this name, it will show up in the list of available WiFi networks anytime you enable your phone as a Personal Hotspot. Just remember that using your smartphone as a hotspot does burn through your cellular data plan, so keep an eye on data usage. Doing things like uploading large files or watching YouTube videos will definitely use more bandwidth than things like checking email sending small attachments.